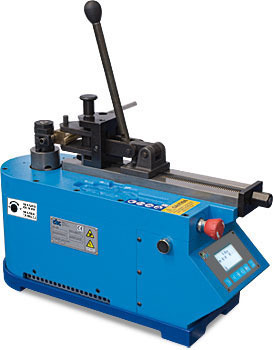 Digital UNI 60 AI with interchangeable outlet shaft, a powerful and precise pipe bending machine to bend delicate and thin pipes. It is suitable for bending exigencies with very tight radii. 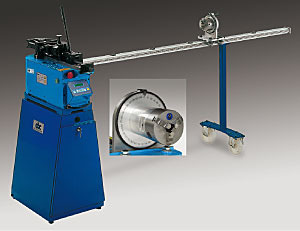 -	Digital electronic unit with multilingual microprocessor for programming, controlling and recovering the bending angle. It is capable of storing 50 bending programs with the possibility to select 9 sequential bending angles for every program. D. 32 (square) provided outlet shaft. Reduced shaft to use with special formers and guides for bending radii which are less than 30 mm. Digital UNI 60 AI, version with moving plane of bend and universal base.